Possibly a scenario that any normal person wouldn't want to be stuck is being left for dead. Then to have to choose between to live or to die, what is a normal response? After being caught in a near fatal murder attempt, Rune Balot in Mardock Scramble survived, with a completely new "cyborg" body. This body has a power of controlling anything electronic with stimulation or "snark," Balot is tasked to go against Shell Septinos, the man who tried to murder her, with the aid of a talking lab mouse known as OEufcoque. 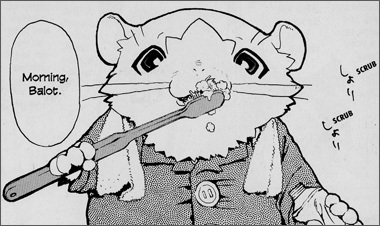 Ubukata is an upcoming novelist of Japanese science fiction, and his writing has been adapted into various media properties. In anime there is Le Chevalier D'Eon, and Fafner, and in video game there is Chaos Legion that has spawned more than one game. 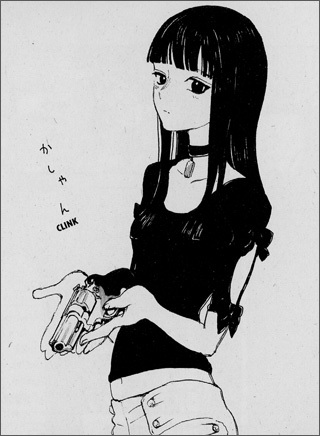 This is Yoshitoki Oima's first known illustrated manga work in the United States. 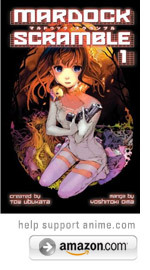 This story is already completed in a three novel series, which is released in English as an omnibus edition under VIZ Media's science fiction imprint. 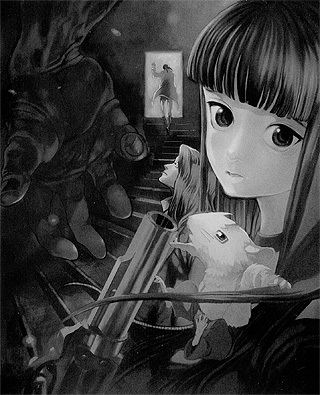 Kodansha's graphic novel adaptation gives Mardock Scramble a new life, and a new audience to appreciate. This title has also been adapted into a series of movies, of which Hulu is streaming the first movie. 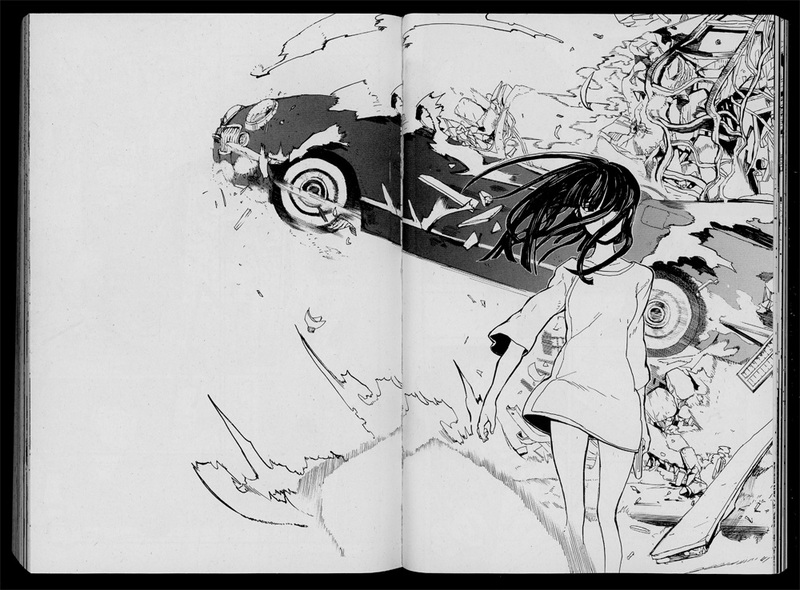 Mardock Scramble is a manga filled with futuristic science fiction themes. 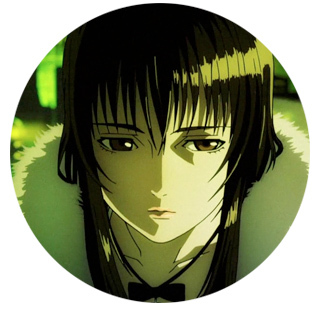 For those who want to enjoy another similar cyborg futuristic world, may consider Ghost in the Shell. 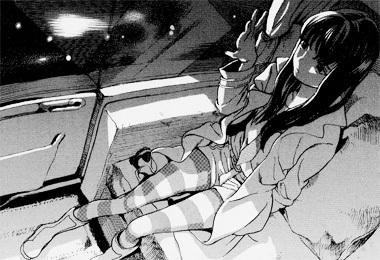 To view another "snark" type manga with one individual having immense power, Chobits is a good read alike. 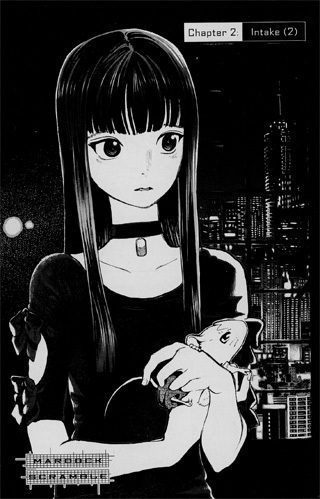 Balot being a human with abilities, paired with a cute mascot in OEufcoque, then Black God is a good read. 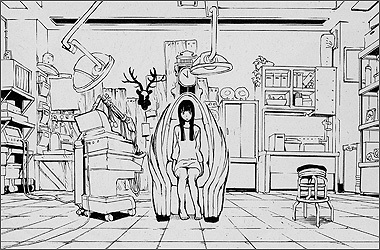 Mardock Scramble is an edgier story filled with a realization for the darker side of humans. Below: A double page spread from the Mardock Scramble manga, click here to see at a larger size. 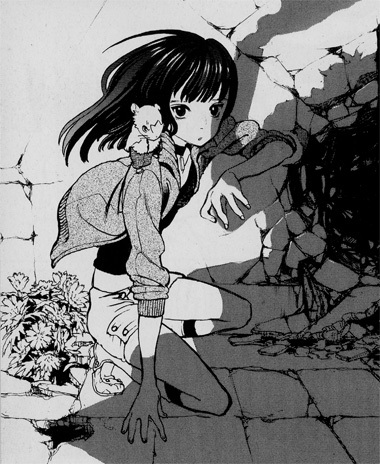 Below: Illustrations from the Mardock Scramble manga.